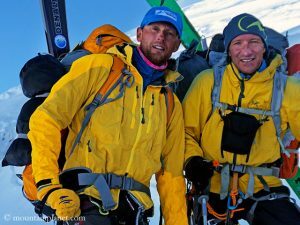 Briton Jon Griffith, who accompanied Tenjing Sherpa to the summit as a photographer and filmmaker, used bottled oxygen on his ascent. 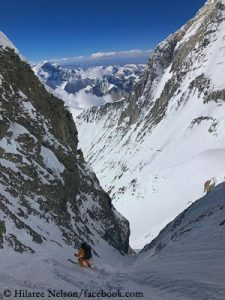 They see their expedition as a tribute to their friend, the Swiss top climber Ueli Steck who fell to death a year ago on the nearly-eight-thousander Nuptse. In 2017, Ueli and Tenjing had planned an Everest-Lhotse traverse without bottled oxygen via the Everest West Ridge. That’s exactly what the Romanian Horia Colibasanu and the Slovak Peter Hamor wanted to tackle this spring. They declared their expedition over today. 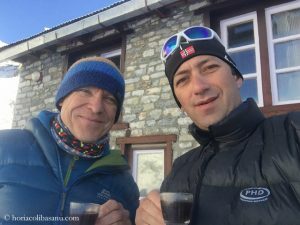 The avalanche danger on the route was too great, Horia explained the decision. They had climbed up to an altitude of 7,500 meters. Already last Sunday, the German climber Thomas Lämmle reached the 8,516 meter high summit of Lhotse, just eight days after his success on Makalu. “Same style: Solo, without oxygen and carried all equipment (tent, stove, food, sleeping bag, etc.) by my own,” ​Lämmle wrote yesterday on Facebook. 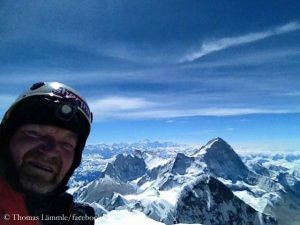 For the 52-year-old from the city of Waldburg in Baden-Württemberg, Lhotse was the seventh eight-thousander after Cho Oyu (in 2003), Gasherbrum II (in 2005 and 2013), Manaslu (in 2008), Shishapangma (in 2013), Mount Everest (in 2016) and Makalu. 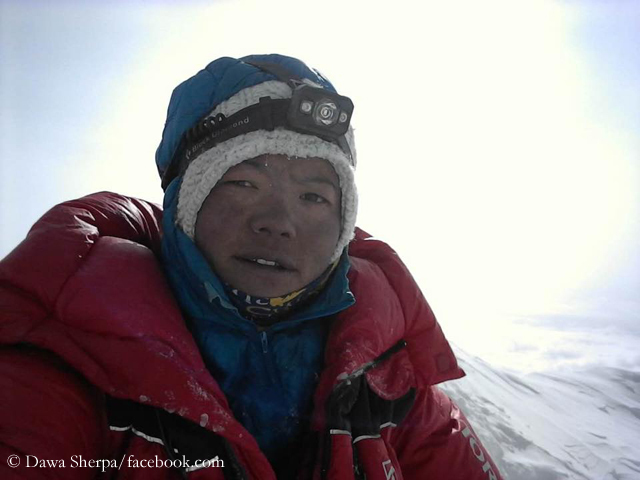 An extraordinary feat was also achieved by Nima Jangmu Sherpa. The 27-year-old reached yesterday as the first woman from Nepal the 8,586 meter high summit of Kangchenjunga. Thus the Sherpani scaled within 25 days the three highest mountains in Nepal, which are three of the four highest in the world. On 29 April, Nima Jangmu had stood on top of Lhotse, on 14 May on the summit of Mount Everest – with breathing mask. In 2008, the Frenchwomen Elisabeth Revol had also scaled three eight-thousanders in one season. Only 16 days had lain then between her ascents of Broad Peak, Gasherbrum I and Gasherbrum II, without bottled oxygen and Sherpa support. Besides Nima Jangmu Sherpa, another female climber from the team of the Nepalese expedition operator “Imagine” managed a Kangchenjunga summit success yesterday: Chinese Dong Hong Juan stood on her 13th eight-thousander. 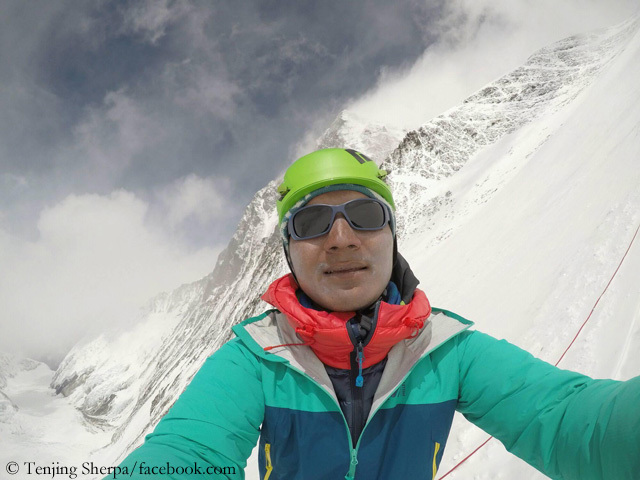 Update 25 May: According to Iswari Paudel, Managing Director of Himalayan Guides Nepal Treks & Expedition P. Ltd., Tenji Sherpa decided after his yesterday’s Everest summit success not to climb Lhotse and instead descend to BC. Update 1 June: Billi Bierling told me that Tenjing had used bottled oxygen above the South Summit (8,750 m), Lakpka Dendi above the South Col (7,900m). 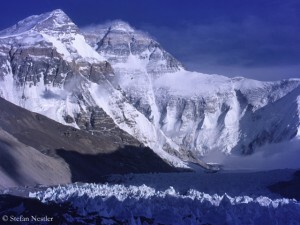 Means: No Everest ascent without breathing mask this spring.